Clogged gutters can prevent water from draining as it should. 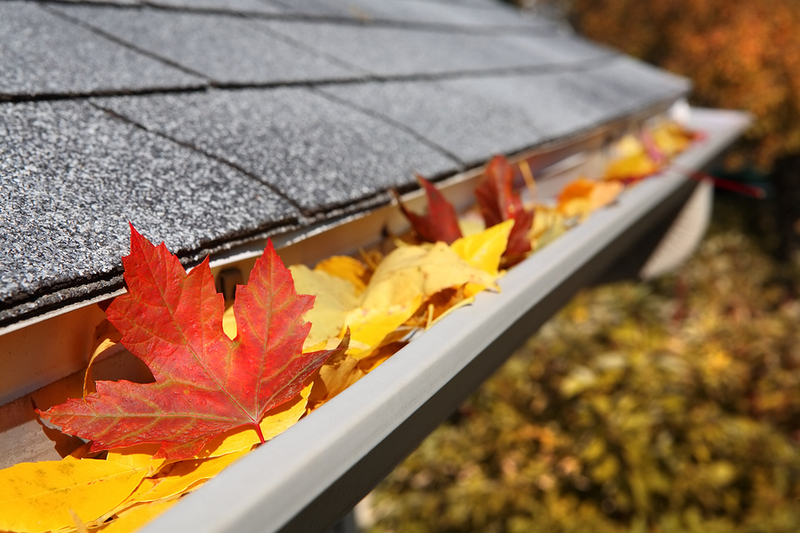 If you live in a location where tall trees drop their leaves into your gutters, you know that it doesn’t take long for the gutters to get clogged with leaves, which then get soaked by fall rains, and pretty soon you might as well not have gutters at all. Rain cascades down your exterior walls and can pool around the foundation and cause major problems over time. Some of the damage that clogged gutters can cause includes roof damage from water forcing its way in from an overflowing gutter, paint or siding damage from water running over the gutters and down the house, and wood rot from water entering the walls. Water in the basement and foundation problems can also occur when gutters are clogged since water bypasses the drainage intended to funnel water away from the house. Maybe you are proficient on tall extension ladders and can climb up a few times each year to clear the debris from your gutters and keep everything flowing nicely. But if the thought of teetering 20 or 30 feet above your driveway or yard doesn’t fill you with delight, there are some other things you can do to make sure your gutters stay clear. A company experienced in gutter cleaning can be worth the money if it keeps you off a tall ladder and safely on the ground. A professional can suggest how often you should have your gutters cleaned and can do the job with confidence. If you save a few bucks but end up in the hospital after falling off your ladder, how much have you really saved? 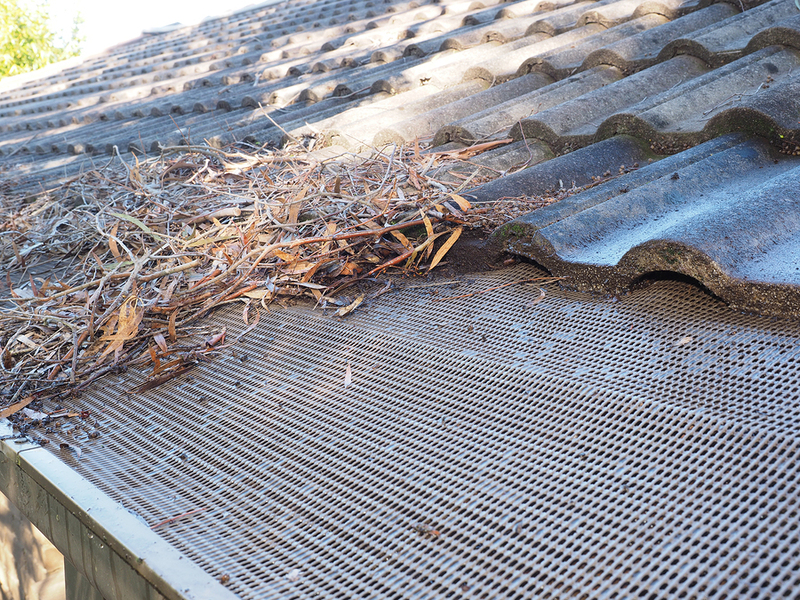 Gutter covers made of mesh or wire can still clog with debris over time and prevent gutters from functioning as intended. Another option that limits the need for frequent gutter cleanings is installing gutter covers, which can prevent leaves and debris from entering your gutters so that rainwater can flow easily. There are several different types of covers, each with different advantages. Moonworks offers the Gutter Helmet Gutter Guard System, which prevents clogged gutters by funneling water into the gutter using the principle of surface tension while debris falls off the top of the gutter guard. Moonworks is the exclusive area provider for the Gutter Helmet system, which has been in existence for over 27 years. Even birds and their nests can’t get into the Gutter Helmet because of its design. Best of all, Gutter Helmet will actually save you money and/or time on an extension ladder because you won’t need your gutters to be cleaned each year (although the helmet itself may need to be power-washed occasionally so that water will adhere to it when it rains). Call Moonworks today at 1-800-975-6666 to get a free estimate on the Gutter Helmet system for your home. This entry was posted in Gutter Guards and tagged clogged gutters by moonworks. Bookmark the permalink.